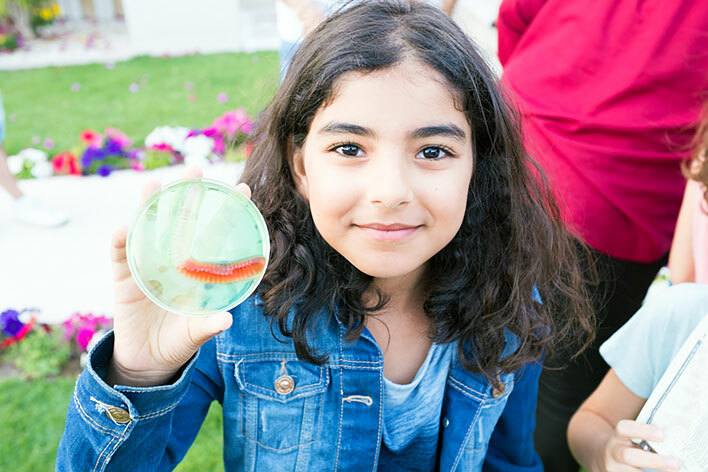 Designed for children ages 4 and older, Science Made Fun of Denver provides hands-on Sizzlin' Science parties where each child becomes a REAL scientist performing REAL experiments! The Scientist who comes into your home or party location is a professional who works year round fueling the imaginations of children in your local area elementary schools. The Sizzlin' Science parties combine our most exciting experiments to create FUN science memories that will last a lifetime. 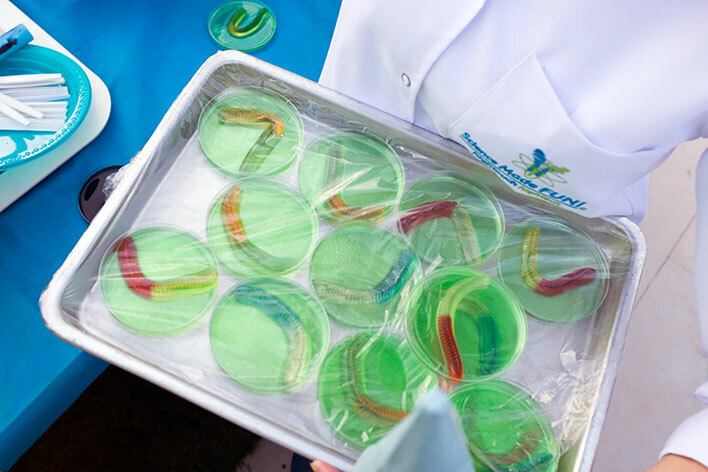 Scroll down to see our full list of Sizzlin' Science Party themes, pricing and FAQ. Encourage science discovery in children around the world! NOTE: The duration of your Sizzlin' Science Party will depend on the program(s) selected. Most are set to take 75 to 90 minutes, however add-ons typically increase the time in 15 minute increments. Mix up some space mud, take an ice cube fishing expedition, make a volcano erupt and create yummy gummy candies! Mix up some space mud, make a volcano erupt and create yummy gummy candies before experiencing an electrifying, hair raising event! Pan for gemstones like a real old timey prospector, mix up some space mud, make a volcano erupt and create yummy gummy candies! Create icky sticky slime, mix up some space mud, take an ice cube fishing expedition and experiment with super absorbent powder! Observe and handle real fossils before making your own fossil replica. Cause a volcano to erupt and pan for gemstones that you get to keep! Birthday Party Goody Bag^ ($7.00 each). Reservations are required and must be accompanied by a $50 deposit to hold the requested day and time of your party. NOTE: Science Made Fun of Denver is also available to provide hands-on science FUN for company picnics, special events, take your child to work day, parents night out, holidays, camps and corporate events. Q: What time should I tell my guests to arrive and what time will the Scientist arrive? Q: Where should we have the party? A:Our party activities can be done nearly anywhere, including your home, a park or a rented space. Some of the experiments can be rather messy, so it can be useful to be outdoors or in a garage if possible. The Scientist will need to know if a water source is available for use as we will need to bring some if not (no worries, we can do it, we just need to know). Q: What about my adult guests? A: We love parents and encourage them to attend. However, you may want to have an area for them to socialize. When parents crowd around the tables it is distracting to the children and can make it difficult for our Scientist to conduct the planned activities. 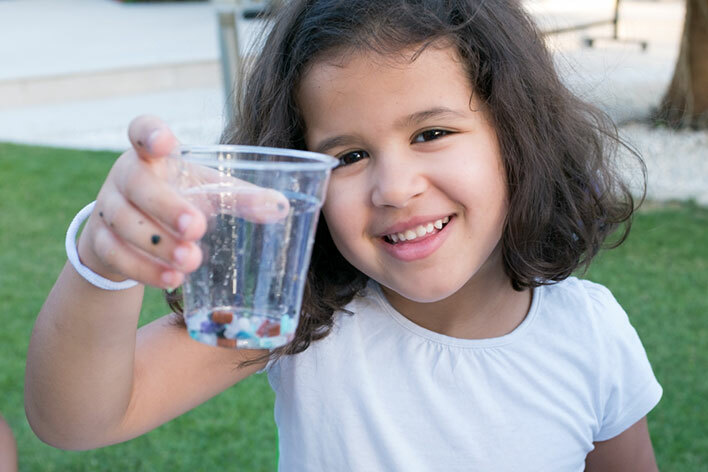 Participate in FUN science experiments with easy to use scientific tools! Reservations are required and must be accompanied by a $50.00 deposit to hold the requested day and time of your party. NOTE: Science Made Fun of Denver is also available to provide hands-on-science FUN for company picnics, special events, take your child to work day, holidays, camps and corporate events.